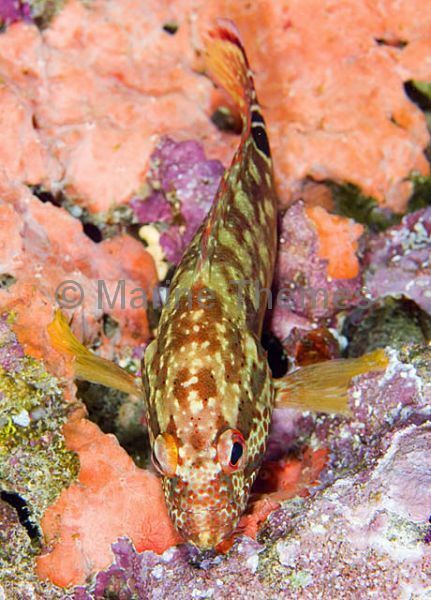 Leopard Rockcod (Cephalopholis leopardus) being tended to by cleaner shrimp. 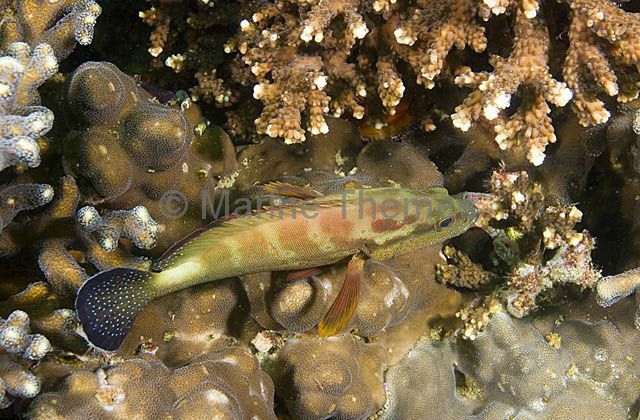 Highfin Grouper (Epinephelus maculatus) Juvenile hiding under coral ledge. 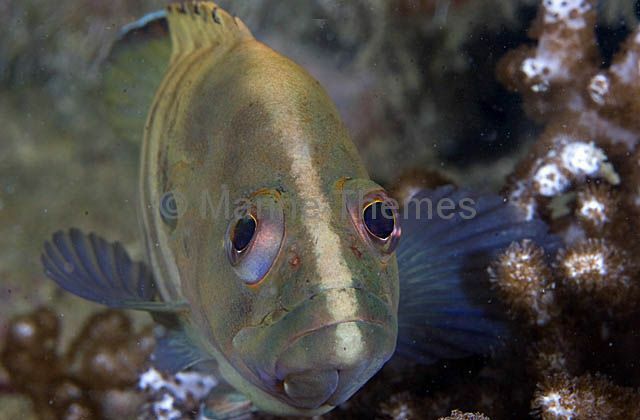 Black Cod (Epinephelus daemelii) Small juvenile in estuary environment. 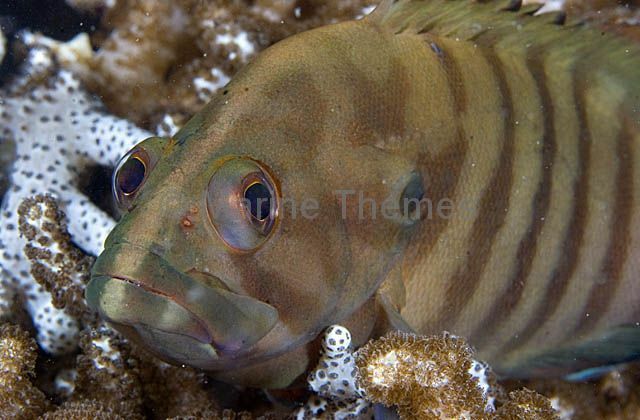 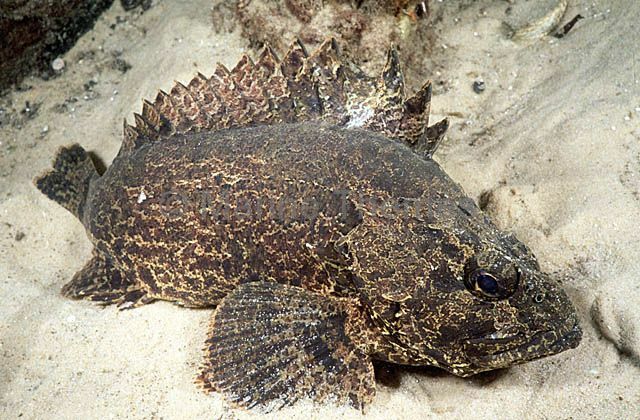 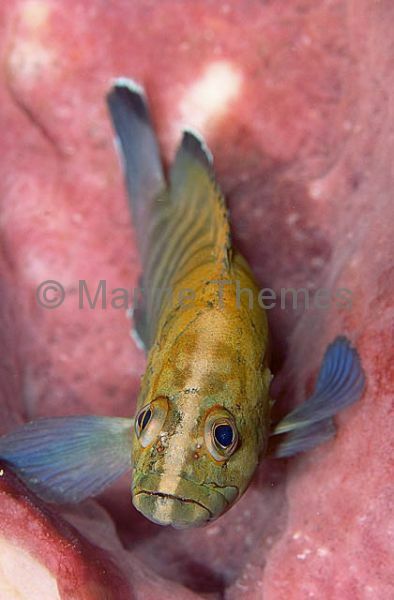 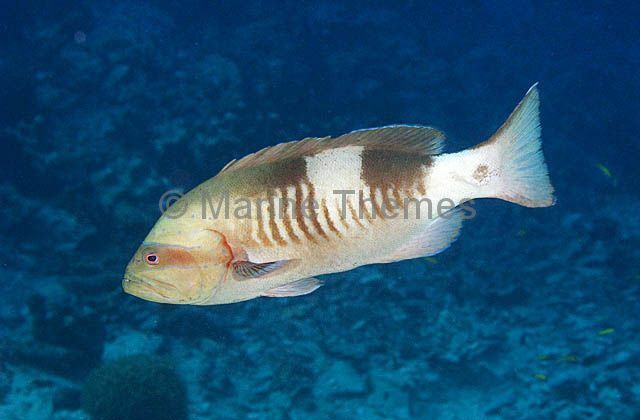 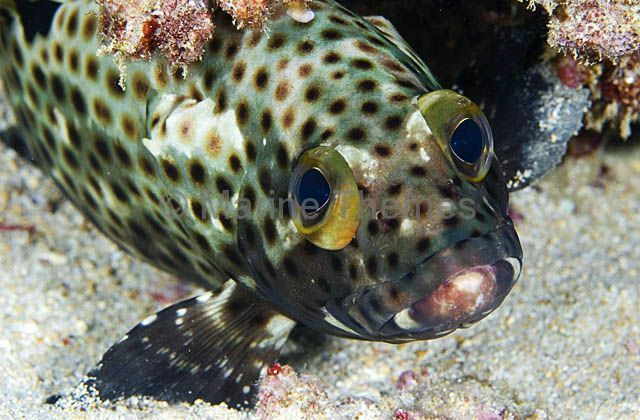 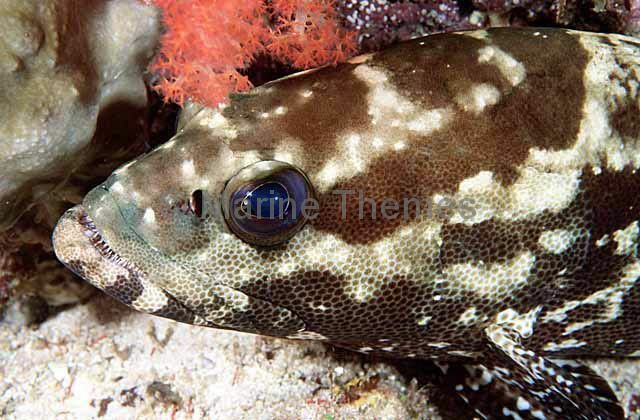 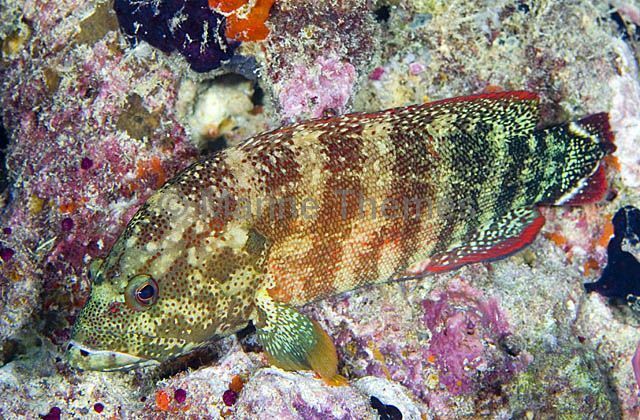 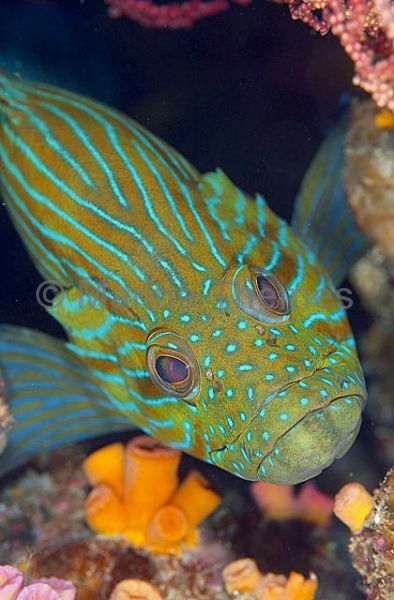 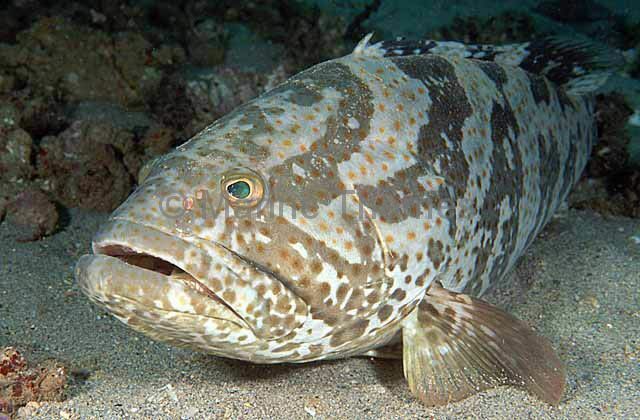 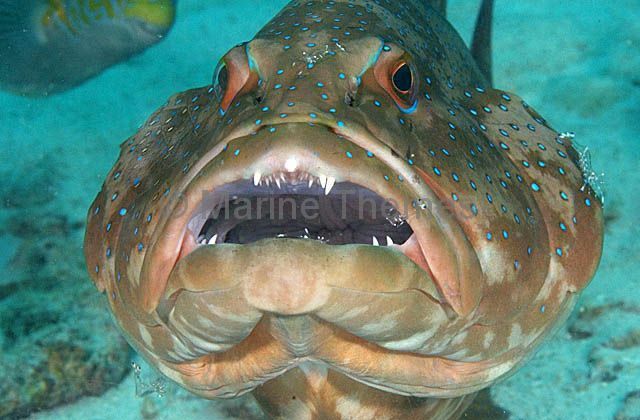 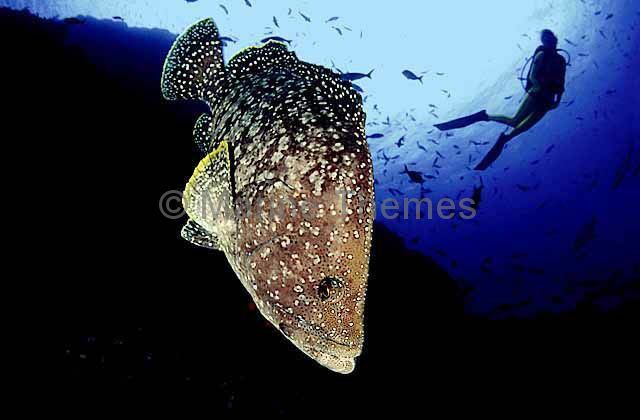 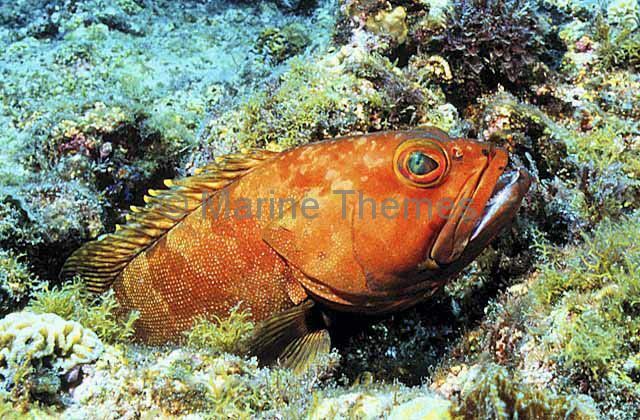 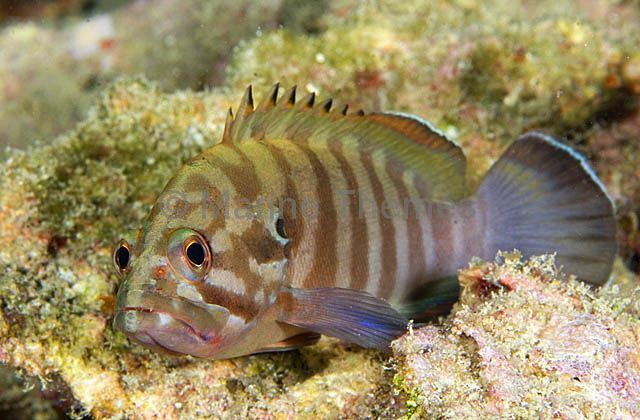 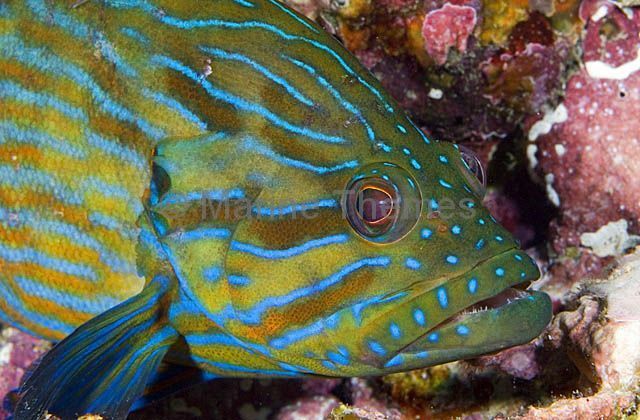 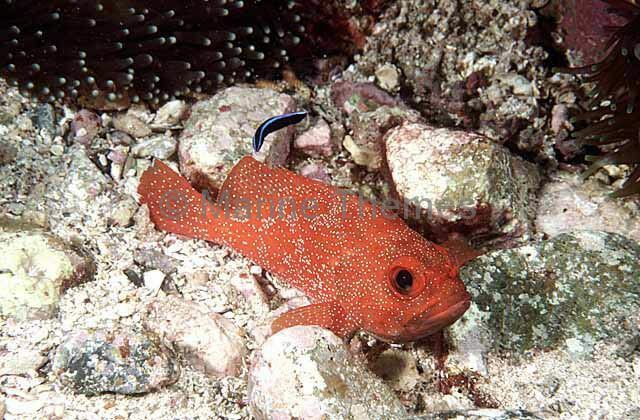 Masked Grouper (Gracila albomarginata ) or Thinspine Grouper. 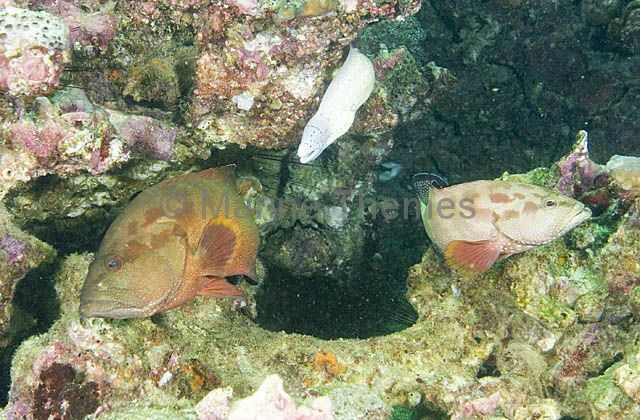 Halfspotted Hind (Cephalopholis hemistiktos) with Grey Moray (Gymnothorax griseus) in coral reef ledge.